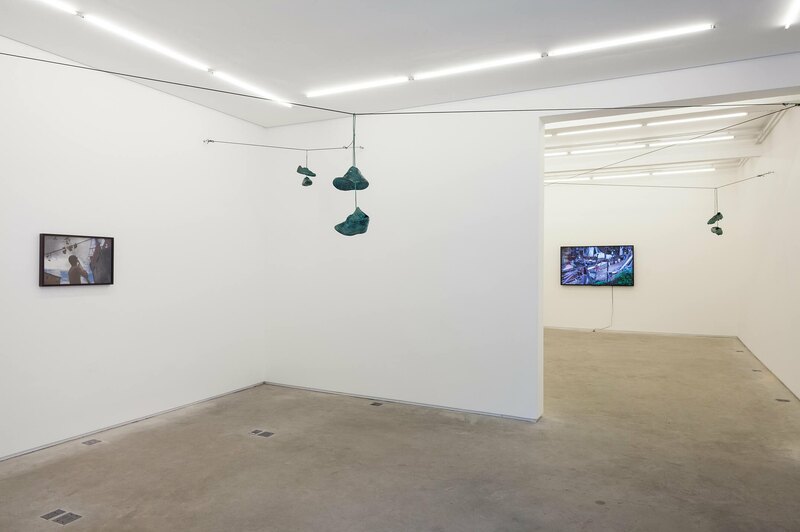 Mendes Wood DM has the pleasure of presenting On The Line, the solo exhibition of the South African artist Haroon Gunn-Salie. 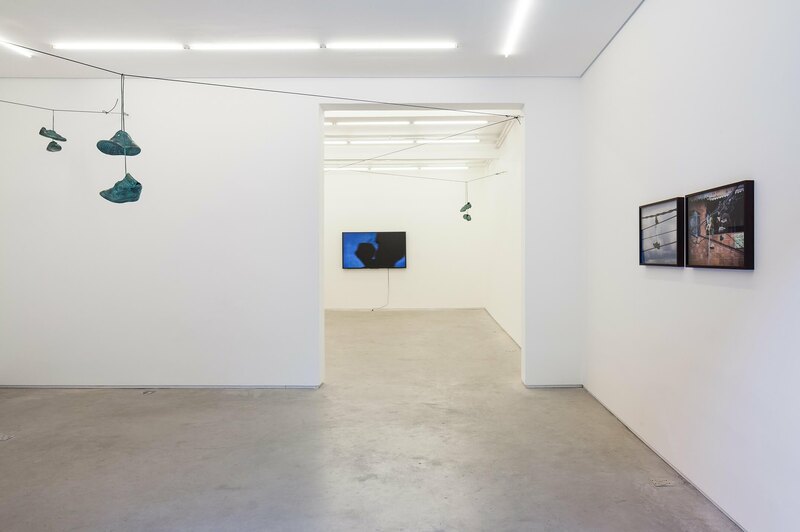 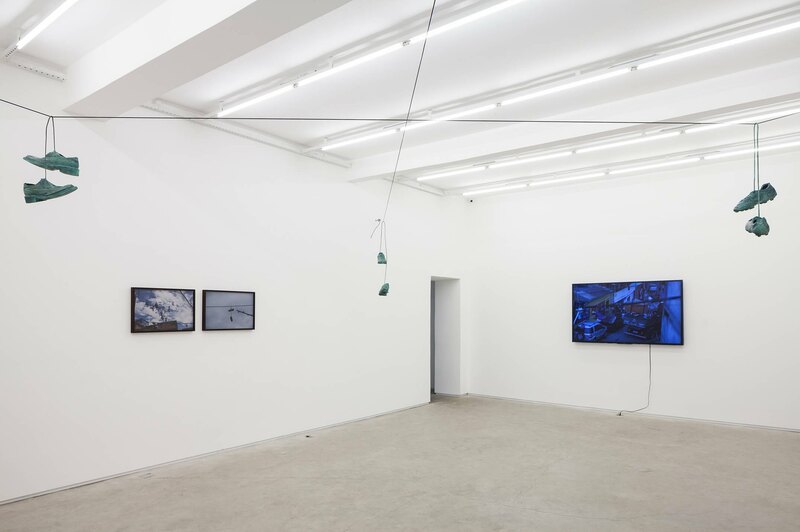 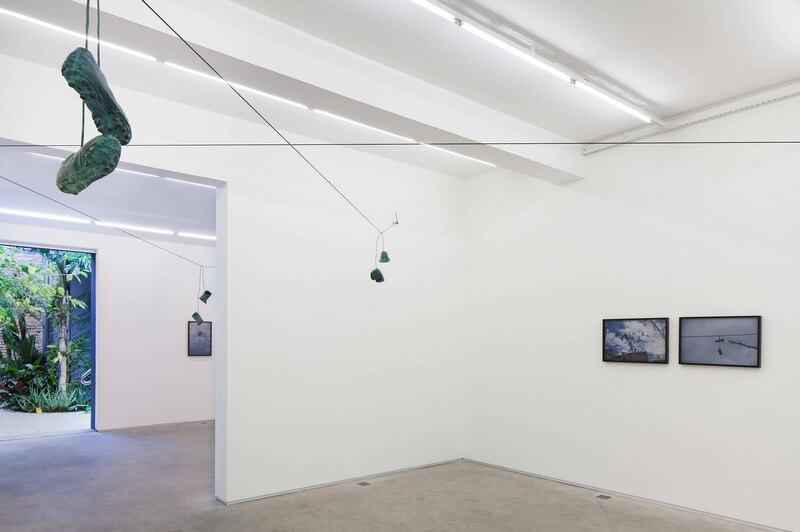 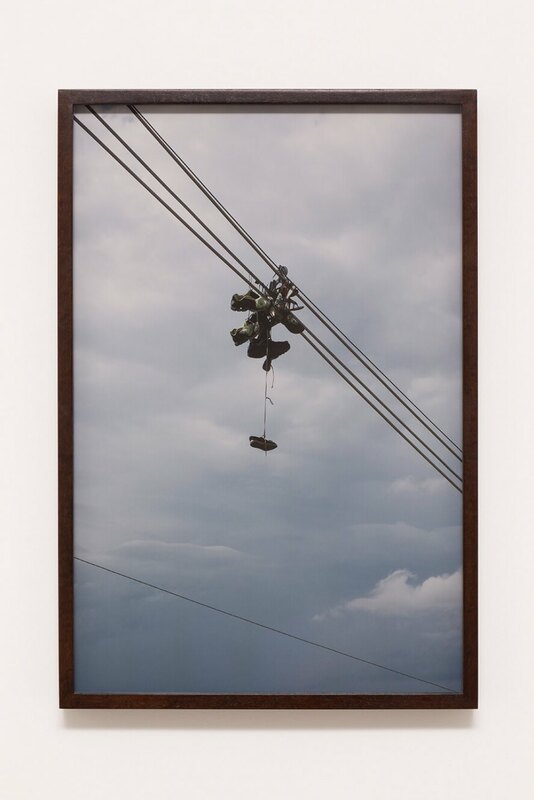 The show groups a series of artworks drawing parallels between the Global South. 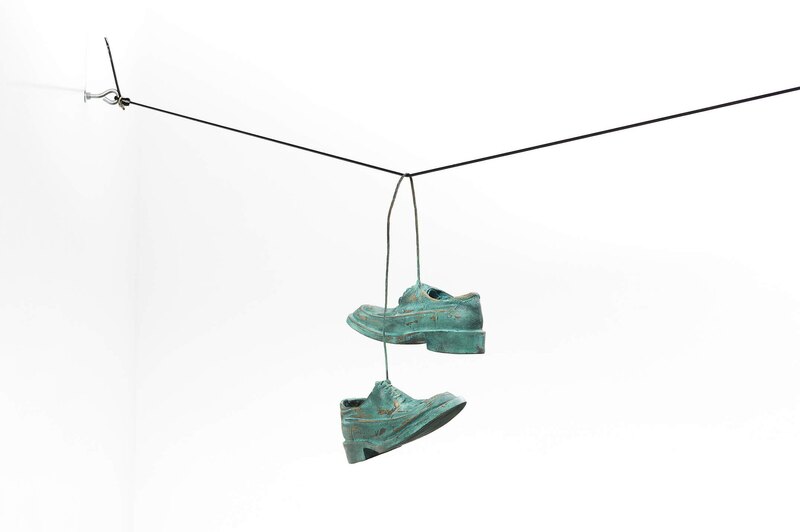 The artworks re-appropriate everyday memorials and silent monuments, shoes hanging off street poles and telephone lines, often overlooked in the peripheries of our cities and the magins of our societies. 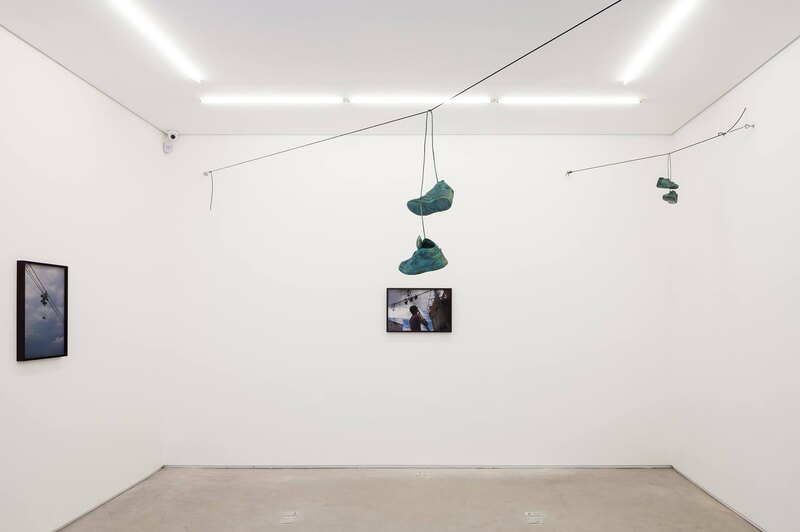 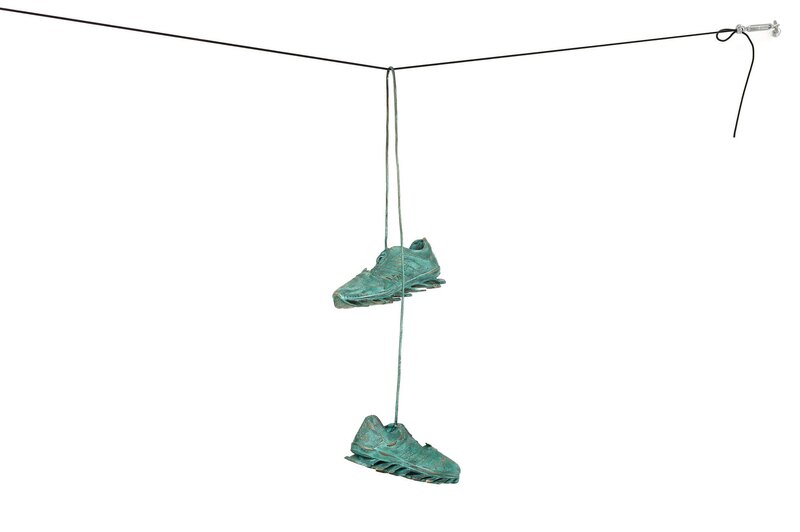 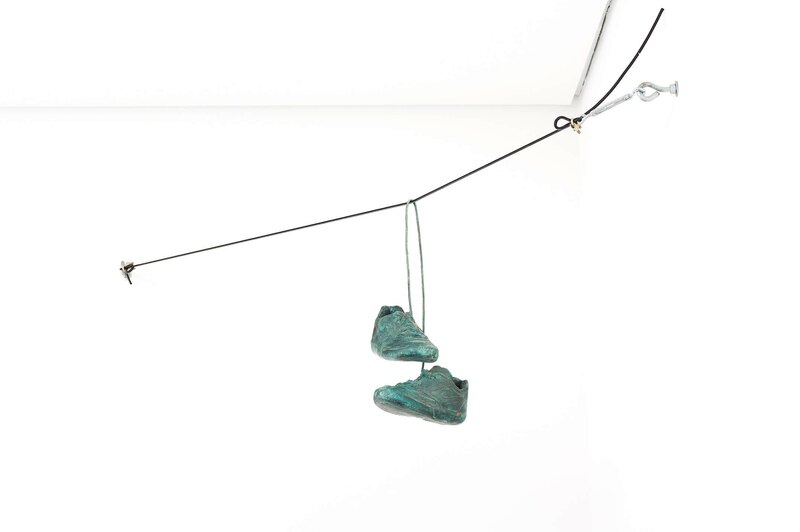 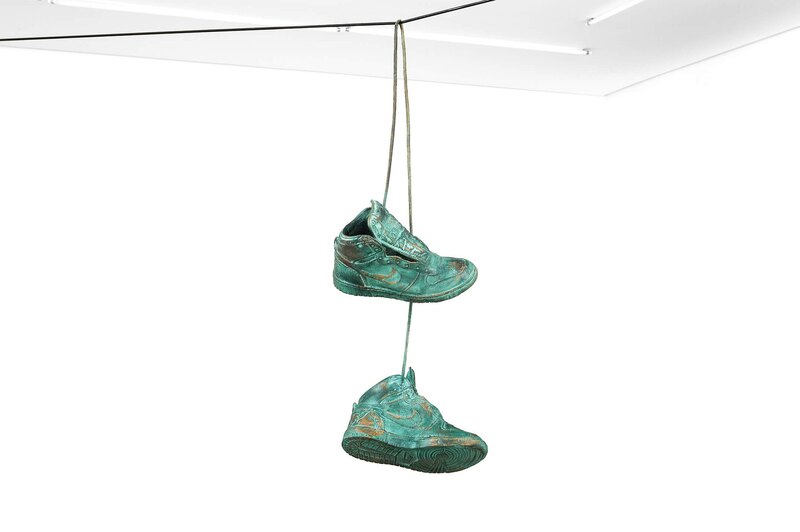 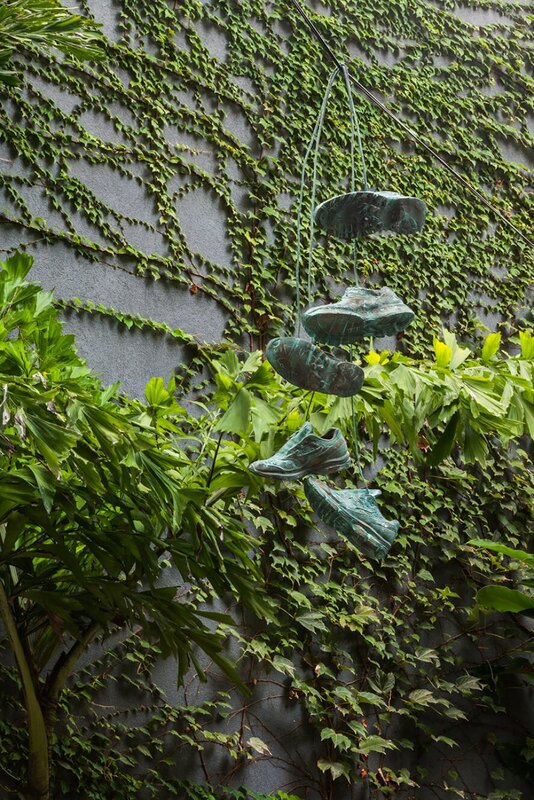 The artwork is comprised of a series of pairs of shoes, tied together by their laces and cast in bronze. 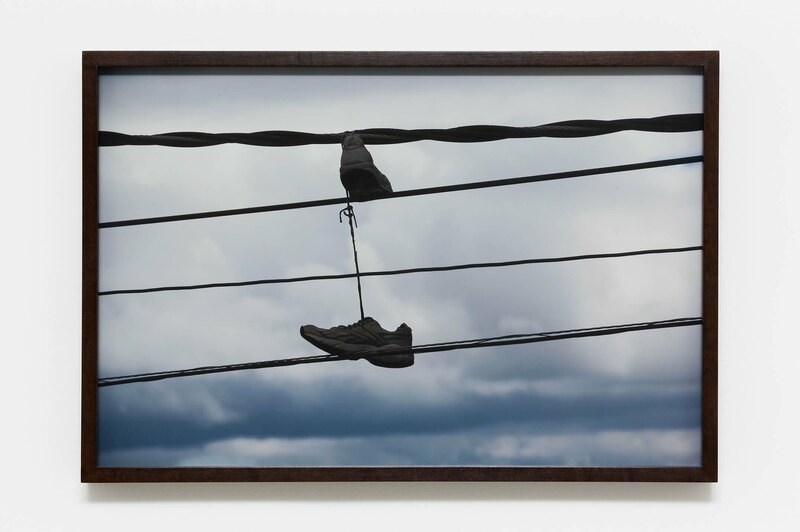 The pairs of shoes were removed, stolen from telephone wires in different sites of Favela da Serra in Belo Horizonte, Brazil. 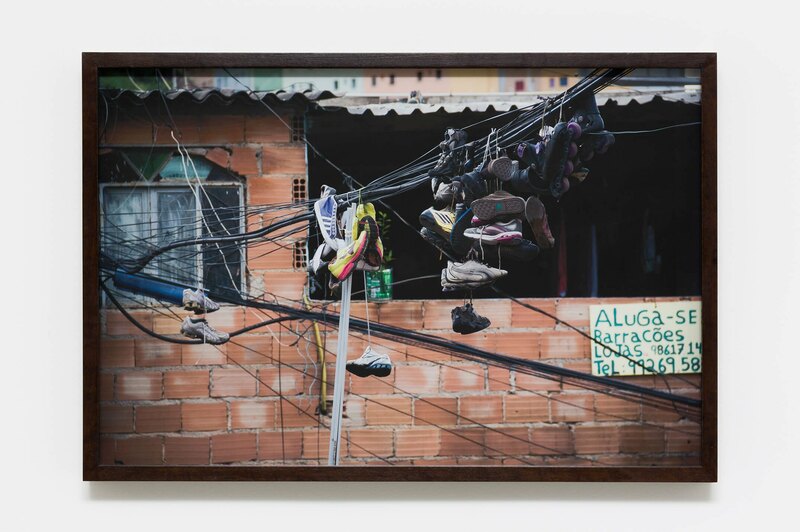 The instalation is presented with a short film and photographs documenting the intervention at 3 locations, shot in Fazendinha, Canão and Curva do Tênis – Favela da Serra with locals from each community. 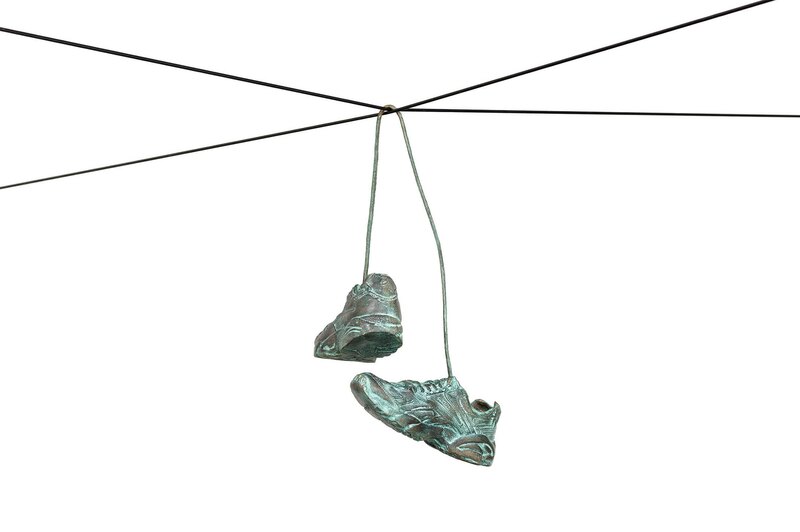 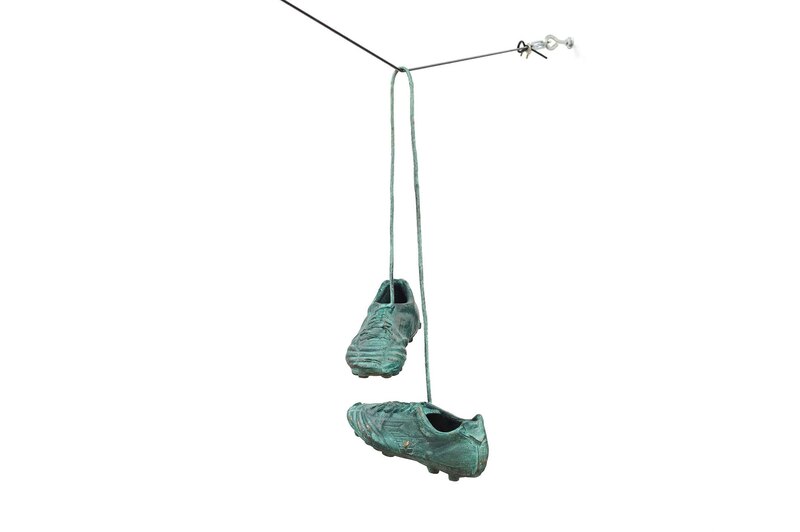 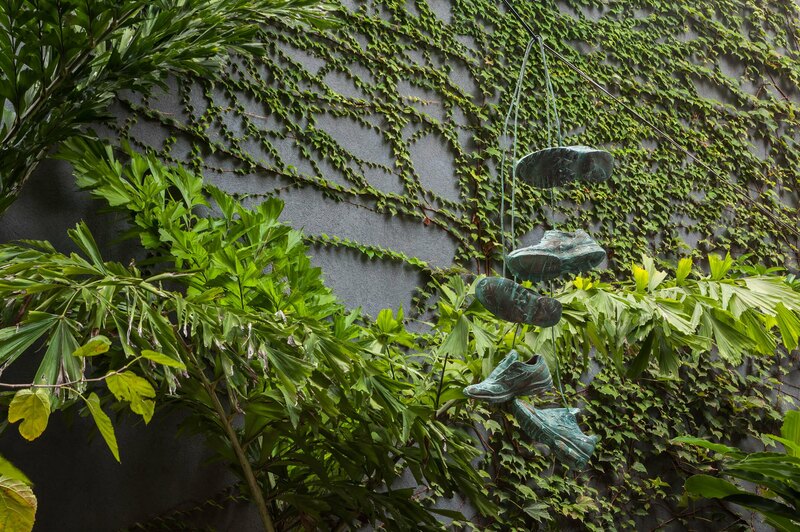 The film concludes with the last shoe, a bronze sculpture being hung on a line in the periphery of Sao Paulo. 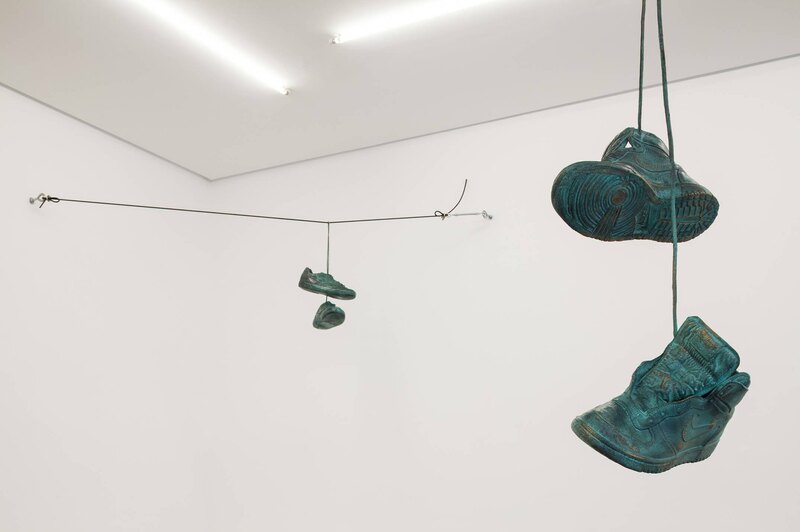 Haroon Gunn-Salie (1989, Cape Town) studied Sculpture in Michaelis School of Fine Art of the University of Cape Town, in South Africa. 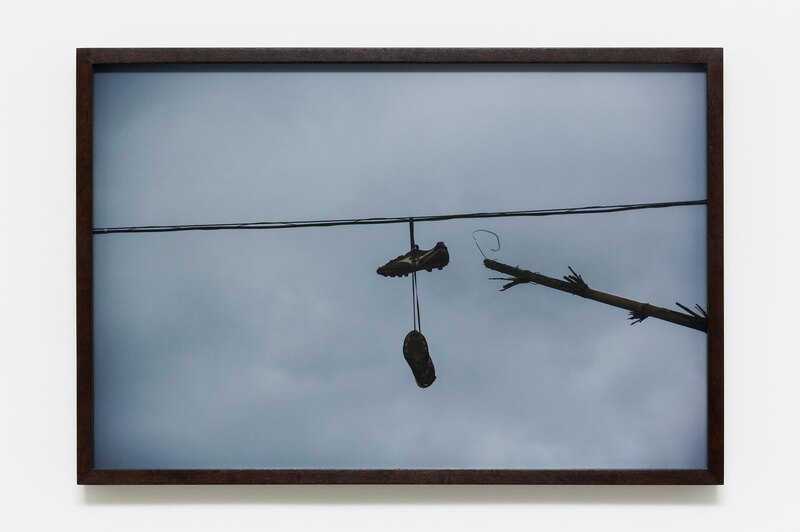 His collaborative art practice translates community oral accounts into artistic interventions and installations. 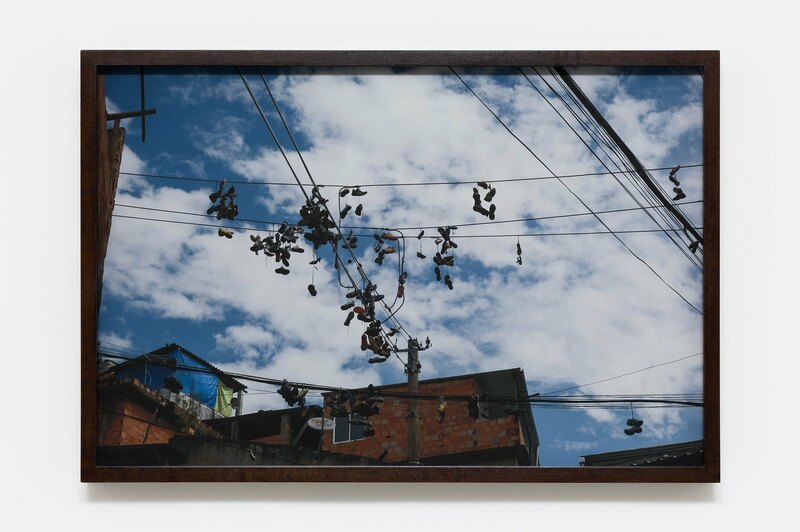 His exhibitions include: Agridoce, VídeoBrasil, São Paulo (2016); 56th Venice Biennale, Venice (2015); the Guggenheim Museum Bilbao, Bilbao (2015); New Church Museum, Cape Town (2014); the Goodman Gallery, Johannesburg (2014 and 2013). 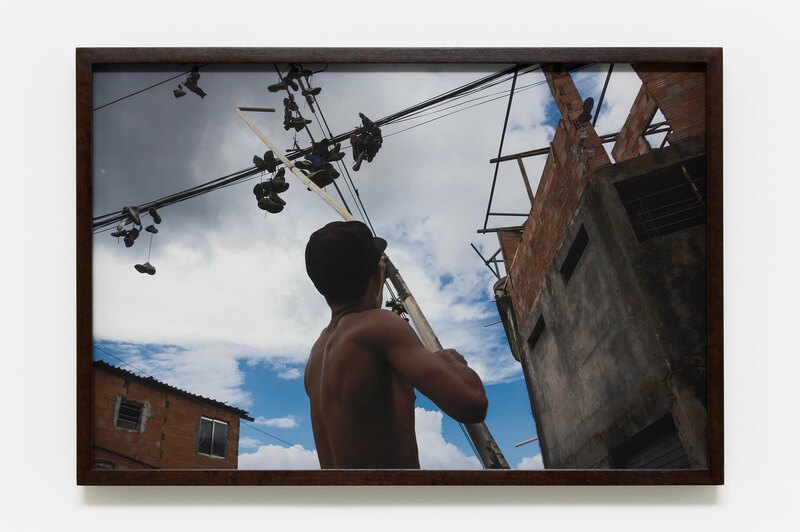 Filmed in Fazendinha, Canão and Curva do Tênis – Aglomerado da Serra Belo Horizonte, Minas Gerais, Brazil – March 2016.